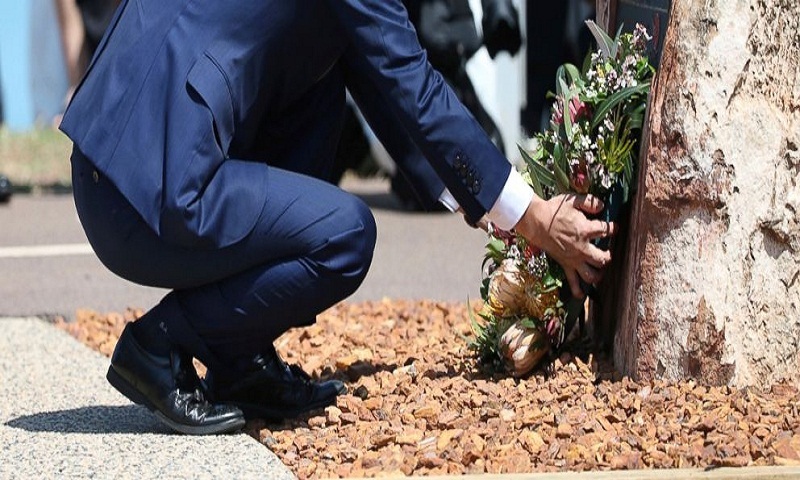 Japanese Prime Minister Shinzo Abe on Saturday visited a shrine in Darwin commemorating the deaths of 80 Japanese submariners in waters near the city in World War II. The visit continued Abe's moves to show remorse for Japan's role in the war, following his trip to Pearl Harbor in 2016. Speaking with officers on the vessel, Abe said "the seas are the highways through which Japan imports vital resources." "These seas, including the waters surrounding Australia, are extremely important to us as they contain the very lifelines of maritime transport," he said.